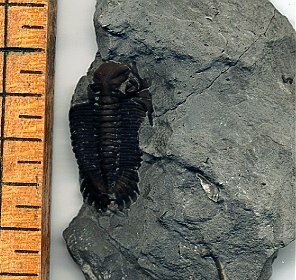 Greenops trilobites are small, usually no more than 1.5 inches in length. They have spines coming from the cephalon and an ornamented pygidium (tail) fringe. G. barberi has shorter, more triangular fringes, while G. grabaui has longer fringes. 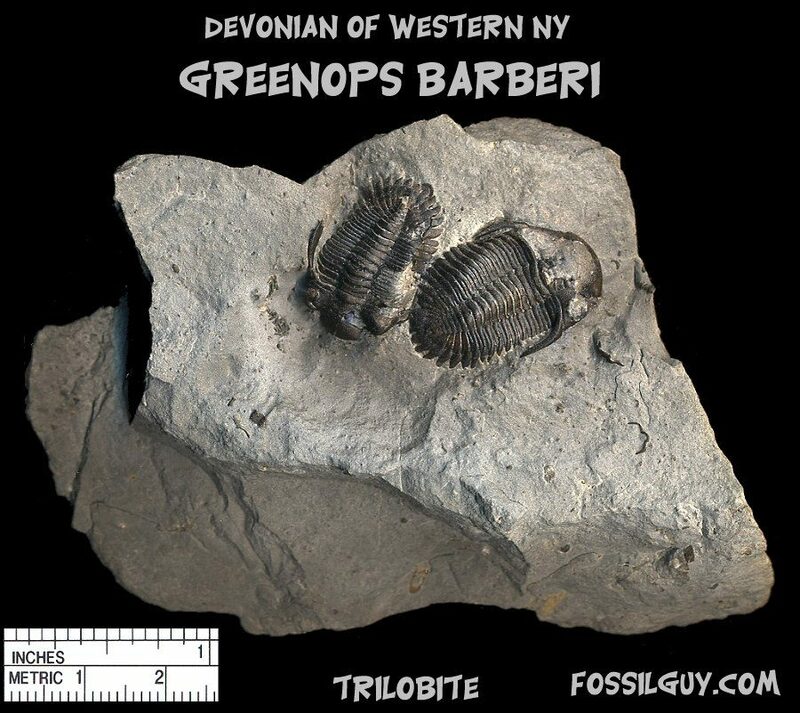 This is an example of an Greenops Trilobite from Western NY - Click on the image to see many more fossil specimens from Western New York. This is a positive and negative of two Greenops boothi touching each other. Another Greenops, with its far left side partially missing. 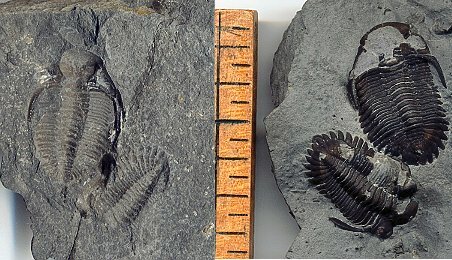 A positive and negative Greenops trilobite in poor shape. 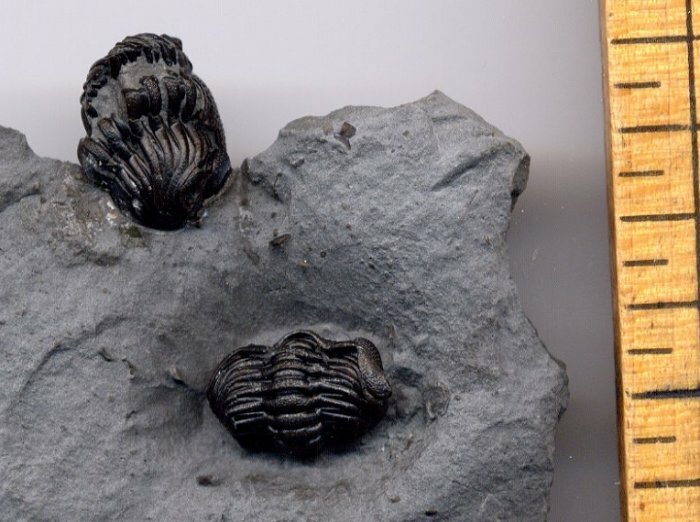 Most of the black shell on the trilobite didn't survive, hence it is now mostly an internal fossil cast of one. 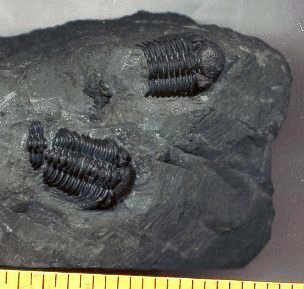 Eldredgeops is by far the most abundant trilobite in the Devonian of Western New York. It is very easy to identify, as it has the famous "Frog Eyes" and large glabella (nose like thing). 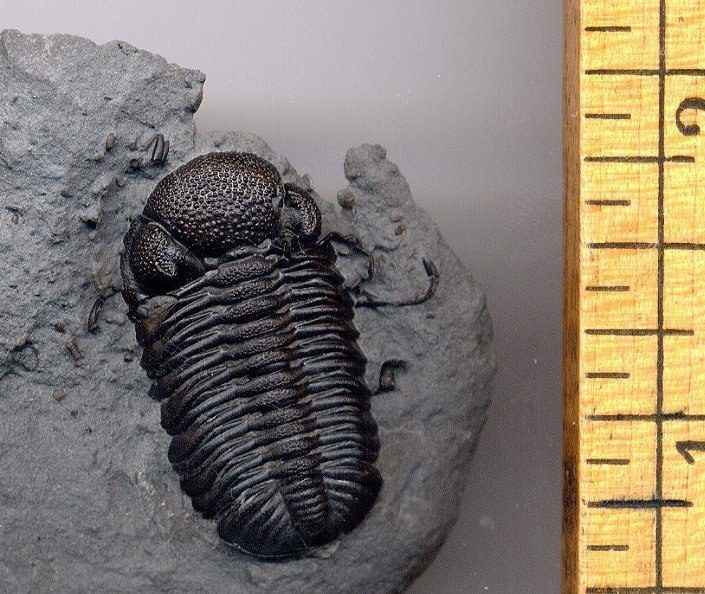 Besides for these two features, it is a rather plain looking trilobite. 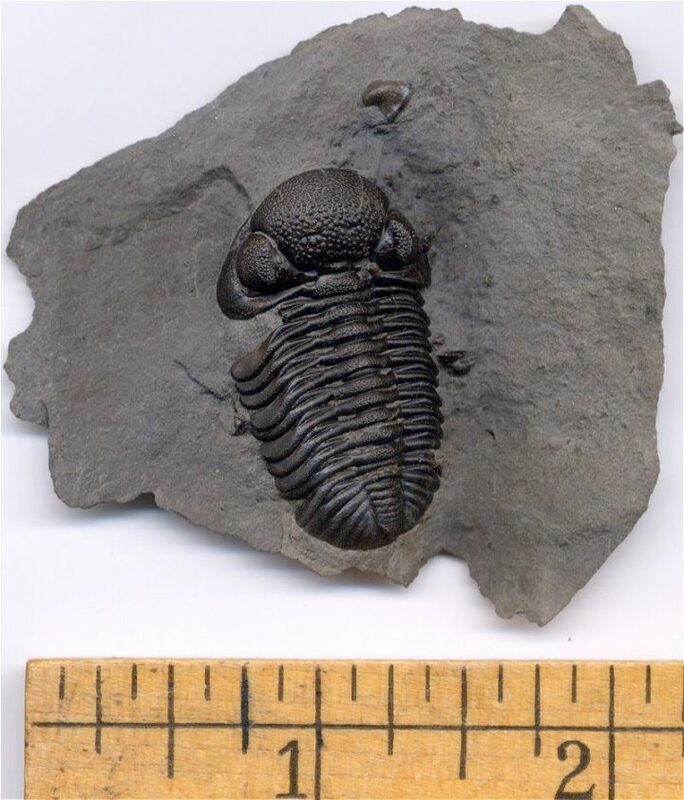 This is an example of an Eldredgeops (Phacops) Trilobite from Western NY - Click on the image to see many more fossil specimens from Western New York. 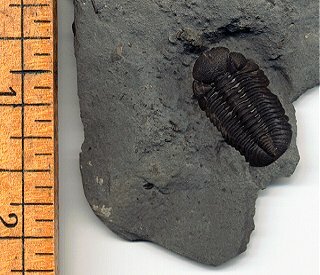 Most fossil trilobites found here are enrolled. 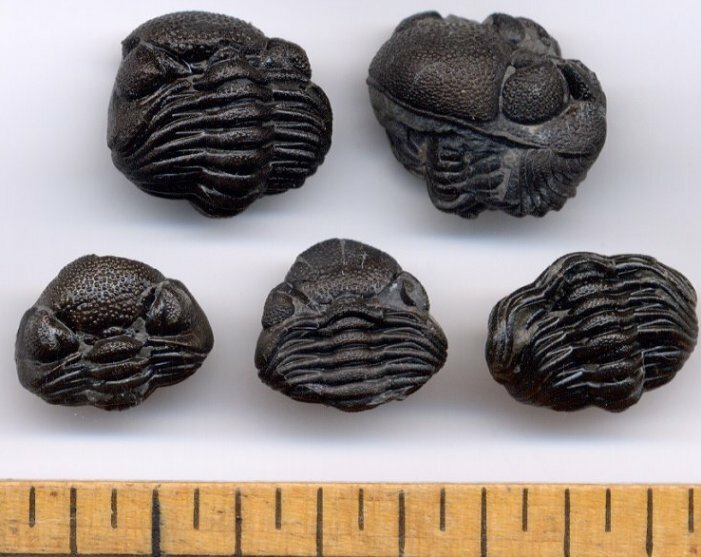 These are typical examples of enrolled Phacops trilobites. 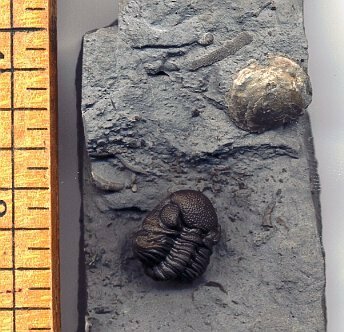 Here is a prone Eldredgeops trilobite fossil. "Prone" simply means unenrolled. Here is another prone trilobite. 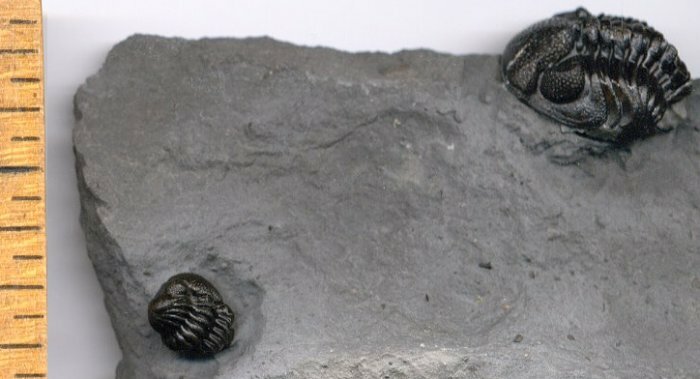 This trilobite fossil is nearly perfect except for the tip of its nose. It is also very 3-D, standing a good 1/4" out of the rock. "Road Kill Sam" is a flattened trilobite. I believe it was run over by a car. Here is a plate with two enrolled Eldredgeops. Click on the pic for a close up of the two phacops. Here is a plate with 3 Eldredgeops on it, although the center one is missing a head, and the lower left enrolled one is a little smooshed. 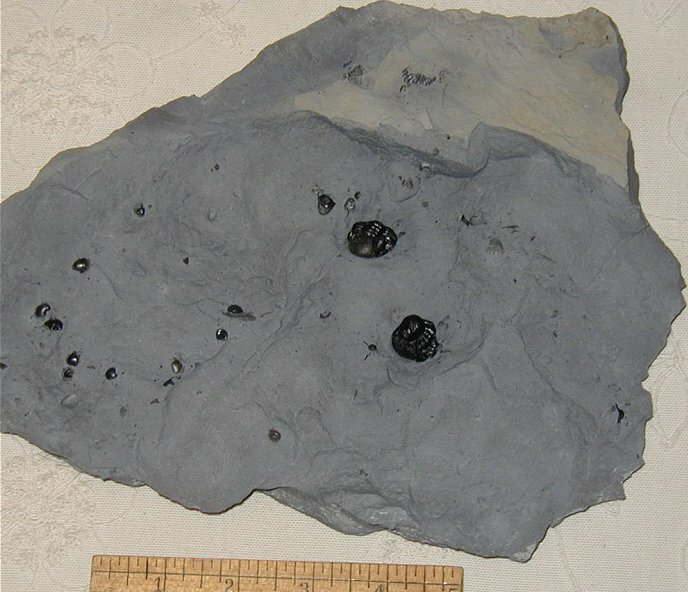 Here are two enrolled eldredgeops trilibte fossils. 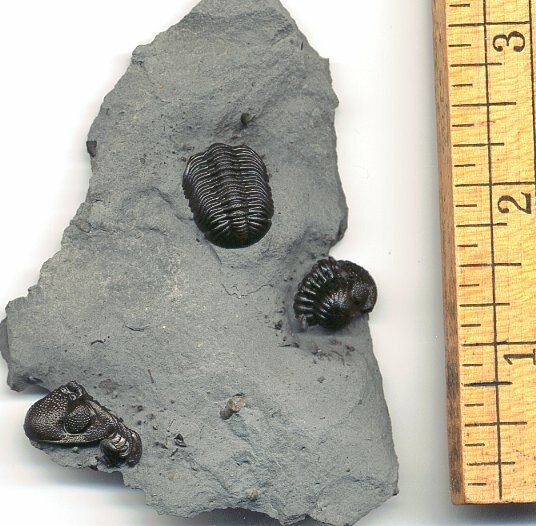 These are two more enrolled Eldredgeops trilobite fossils. They are both complete, however their heads are on the other side. These are in the Tichenor Limestone, and were very difficult to extract. For all the work I did, I wish at least one was complete, however they are both missing their trilo-butts, or pygidium. There hasn't been a decent book on the fossils of Western New York available to the nonn professional until this book came out. 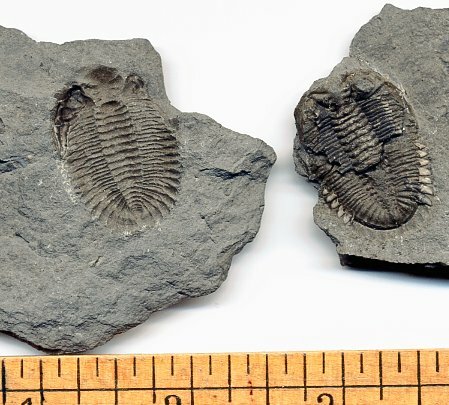 This is a MUST for anyone fossil hunting in Western New York. It is an updated guide to all the Devonian taxa of New York... Simply amazing! It's a nice replacement for the out of print and outdated "Devonian Paleontology of New York" that I've used so much. This is a famous publication by Grabau himself. Serious Devonian fossil hunter needs this! 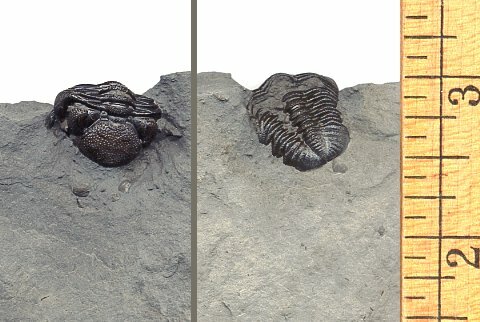 Grabau laid the framework for Devonian fossils! This book is a nice history piece chalk full of pictures and descriptions for fossil identification. The prices often fluxuate, but you can usually get a copy from $30 - $40. 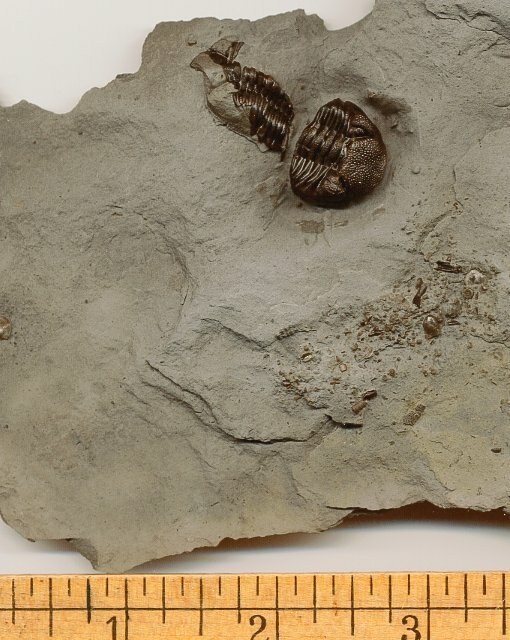 This New York State Museum Bulletin (#469) is a collection of research papers about the Middle Devonian of New York. I recommend this book if you want a deep understanding of the the paleoenviroments of the Devonian of New York. The papers include how the sediments were deposited, faunal lists, reconstructions of paleoenvironments, stratigraphy, and more. Being research papers, it's a bit more technical than the other books, but it gives a great overview of the Devonian of western New York. This is an incredibly informative book, however it is somewhat difficult to find. Your best bet is a University Library. 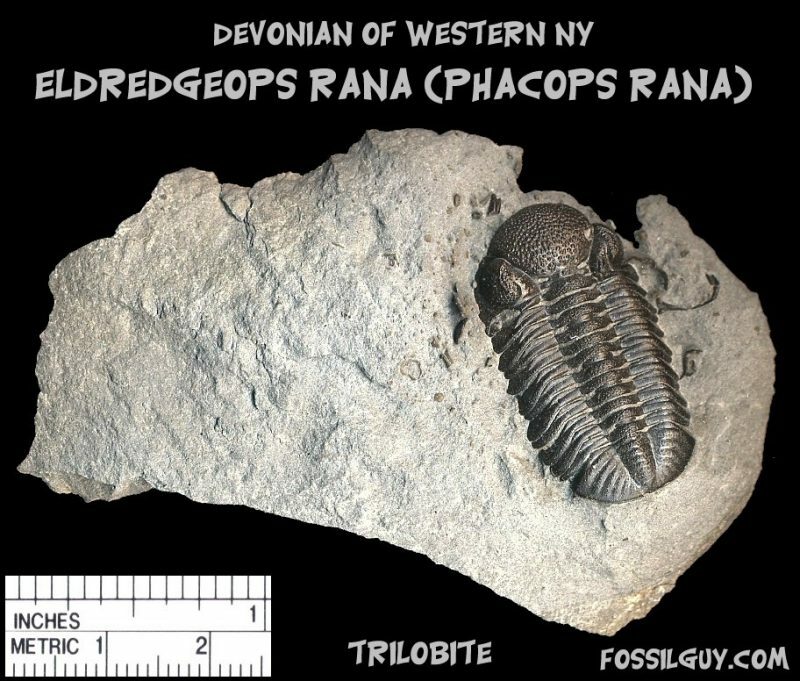 Although a bit old, this is still arguably the best New York Paleontology website out there!